Sarah Moore, daughter of Steven and Sandra Moore, is the Elks Student of the Month for January from Ste. Genevieve High School. 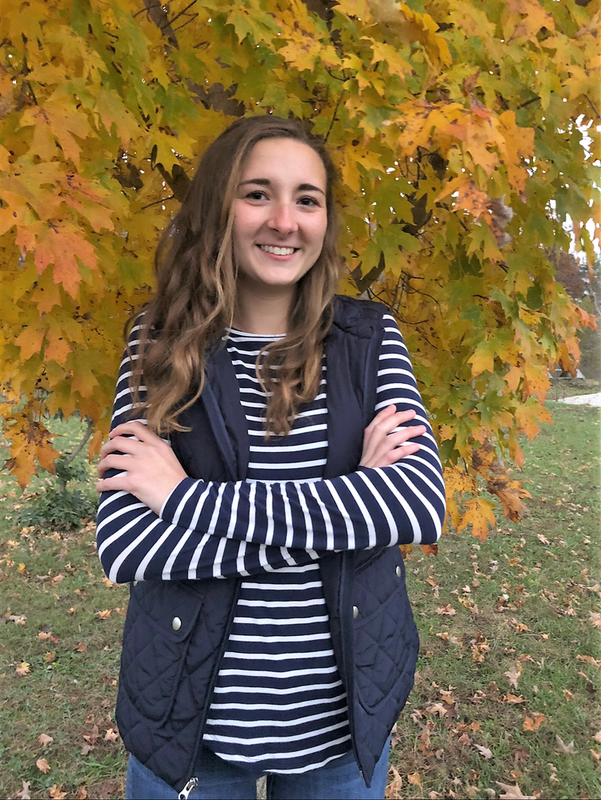 Sarah's Scholastic Honors include: Being ranked #5 of her graduating senior class, A Honor Roll each semester, member of National Honor Society, and Student Council. Sarah has been extremely involved in SADD, FCA, Skills USA, Spirit Club, Math team, and Spanish Club. She also has been a member of the SGHS track and cross country teams. Sarah has received numerous honors such as attending Missouri Leadership Seminar, Leadership in Practice, and MoDot bridge competition. Sarah has been chosen multiple times as an All-Conference, All-District, and KTJJ Dream Team athlete. She has been selected as the SGHS track Most Valuable Distance Athlete, Most Spirited Athlete, and Team Leader. Sarah has been involved in numerous community service projects such as working with the Adopt-a-highway cleanup, collecting cans for local food pantries, numerous local 5K fundraisers, and Senior Citizens Christmas dinner. In her free time, Sarah enjoys spending time running, sketching, photography, architecture, listening to music and eating Taco Bell. Sarah plans to attend the University of Kansas and complete her Master’s degree in Architecture. She then plans to attain her architecture license and work for an architecture firm in New York City.